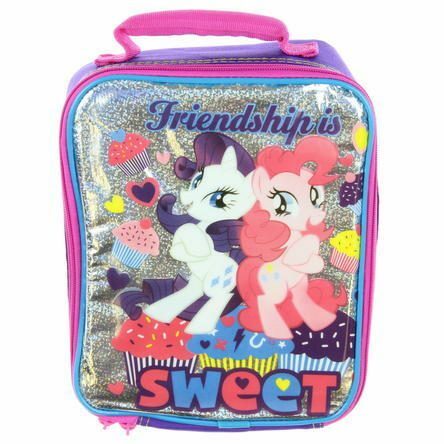 Fab My Little Pony Friendship is Sweet Lunch Bag Just $6.00! Down From $21.95! You are here: Home / Great Deals / Fab My Little Pony Friendship is Sweet Lunch Bag Just $6.00! Down From $21.95! Sears has this Fab My Little Pony Friendship is Sweet Lunch Bag on sale for $6.00 (Reg. $21.95)! My Little Pony was first introduced by Hasbro in 1981. Over the last few years it popularity has really grown. Your child is sure to love this lunch tote.